The Big Lottery said that too often funders create barriers to innovative projects and hard to reach communities seeking funding” through complex processes. The Charity Commission's chief executive, Helen Stephenson, has warned that many instances of fraud within the sector currently go unreported. Speaking at the launch of Charity Fraud Awareness Week, Stephenson said that fraud can have a “devastating” impact on voluntary organisations and urged greater reporting of the crime when it occurs. She said there was no evidence that charities were more likely to be targeted by fraudsters than other organisations but suggested that the effects could be worse than in the private or public sectors. Community groups still have time to apply for grants to run an event during British Science Week 2018. The British Science Association (BSA) provides grants for community organisations to run events that will take place across the UK during the week of 9-18 March 2018. The funding is intended to expand the audiences that engage with science and self-identify as having an interest in science by empowering and supporting community groups to run their own science activities. Community grants cannot be used for events or activities with school groups unless they are a special needs school. People with low socio economic status, including people disadvantaged in terms of education and income. Young people facing adversity, including those not in education employment or training (NEET). People living in a remote and rural location with a population of less than 10,000 people. The deadline for all applications is 13 November 2017 (12noon). The deadline for receipt of applications for the 2018 Awards is 7 November 2017. Awards recognising renewable energy projects in the UK and the developing world, promoting the widespread use of local, sustainable energy, because of the environmental, social and economic benefits which it can provide. The aim of the Ashden Awards is to promote the widespread use of local, sustainable energy, because of the environmental, social and economic benefits this provides. The Awards reward outstanding and innovative renewable energy projects in developing countries and in the UK, with funding for future developments. Through the scheme and related activities, these awards aim to persuade policymakers, funders and the wider public to recognise renewable energy efficiency as a crucial tool for addressing the urgent global issues of climate change, pollution and energy supply, as well as the social and economic needs of local communities across the globe. Ashden rewards innovative enterprises and programmes that deliver, or play a key part in enabling the delivery of, renewable energy and energy efficiency at the local level, and through this bring social, economic and environmental benefits. In 2018 there will be six International Awards. The winners will receive prize funds of up to £20,000 each. UK-based businesses, NGOs, social enterprises and government organisations working in one of the UN’s developing regions of Africa, Caribbean, Central America, South America, Asia (excluding Japan) and Oceania (excluding Australia and New Zealand) may apply. Note: the funded activities can be in rural or urban areas. In 2018 there will be up to four UK Awards, each of which comes with a prize of up to £10,000. Businesses, which must have employees in the UK, and be providing their products or services in the UK, although the headquarters may be in another country. Social enterprises, both for-profit and not-for-profit, including community groups. Not-for-profit groups, such as charities, energy agencies or housing associations. Public sector organisations, including local authorities, higher education establishments, hospitals, fire services, police forces, etc. The Henry Smith Charity’s Main Grants programme is now open for applications following a review of its guidelines and criteria. I helpu esbonio’r rhain yn fanylach, rydym yn cyhoeddi cyfres o flogiau i helpu amlinellu beth a olygwn wrth bob thema. Gallwch ddarllen am beth mae ‘pobl yn arwain’ yn ei olygu yma. Ar gyfer y postiad hwn, gofynnom i reolwr ariannu Derek Preston-Hughes ddweud ychydig yn fwy wrthym am brosiectau sy’n seiliedig ar gryfderau. 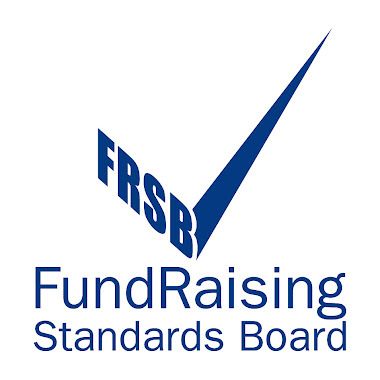 Today we have launched a new consultation on the Code of Fundraising Practice, which will enable charities, fundraisers and members of the public to provide feedback on proposed changes to the Code regarding data protection. The consultation seeks to update the Code to mirror the upcoming GDPR legislation, and address the issues identified in the number of penalty notices levied by the Information Commissioner’s Office (ICO) in the last two years. It also seeks to ensure that rules on data protection are more accessible by improving signposting to existing ICO and Fundraising Regulator guidance, as well as adding and expanding definitions for key terms. Please share with people in your networks, particularly those who are not on social media or are organising outside of big cities and commonplace activist and community spaces. If you are a new group, 1 year old or less, the maximum you can apply for is £1000. If your group is part of a national coalition, please get in touch. Unfortunately, we cannot fund groups outside England, Scotland, Wales, Northern Ireland and the Republic of Ireland. We have never funded an organisation with an annual turnover of more than £25,000. Your application will be read by some of our 100+ members, and may be shared with other applicants if it is short-listed. If you have applied before and been unsuccessful please get in touch before applying again. If your groups application is successful, you will be expected to help us promote the next funding round, and score applications – don’t worry though, its not hard work, and we will help you. The Heritage Lottery Fund’s First World War Then and Now Grants Programme provides grant of between £3,000 and £10,000 for community projects lasting no longer than 2 years which explore, conserve and share the heritage of the First World War. Projects should enable communities to understand more about the heritage of the First World War and benefit a wide range of people. In particular, priority will be given to projects that help young people aged 11 to 25 years to take an active part in the Centenary commemorations. There is no match funding requirement for this programme. o Natural heritage and landscapes affected by the war. Applications may be submitted at any time until 31 March 2019. Appling organisations must have a bank account and a constitution. Potential applicants are advised to submit a project enquiry form online before applying. Advice can then be provided on whether the project meets the priorities for funding and to provide support with an application. Further information, guidelines and an application form is available to download from the Heritage Lottery Fund website.